In 1983, a new exciting series of bike races started in the U.K. and the following year the series would expand across the Irish Sea. 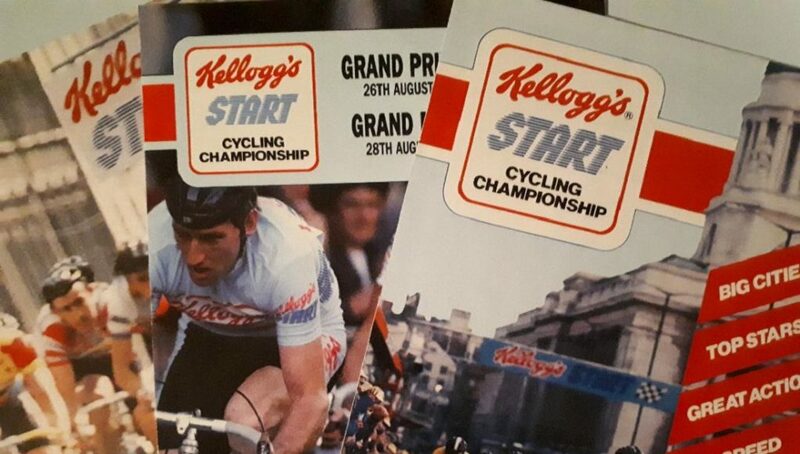 The Kelloggs Channel 4 City Centre Cycling Championship was the brainchild of Alan Rushton and that first series consisted of five races in Bristol, Nottingham, Glasgow, Manchester and Birmingham. Races would take place over the next number of years in both Dublin and Cork and the race line-ups included a mix of British professional teams and continental based professionals. The races were shown on Channel 4 and proved very popular and also attracted massive numbers of spectators. 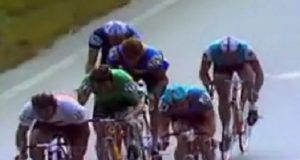 It was the right time to capture the imagination of the Irish public as Sean Kelly and Stephen Roche were at the height of their careers and would travel from the continent to take part. 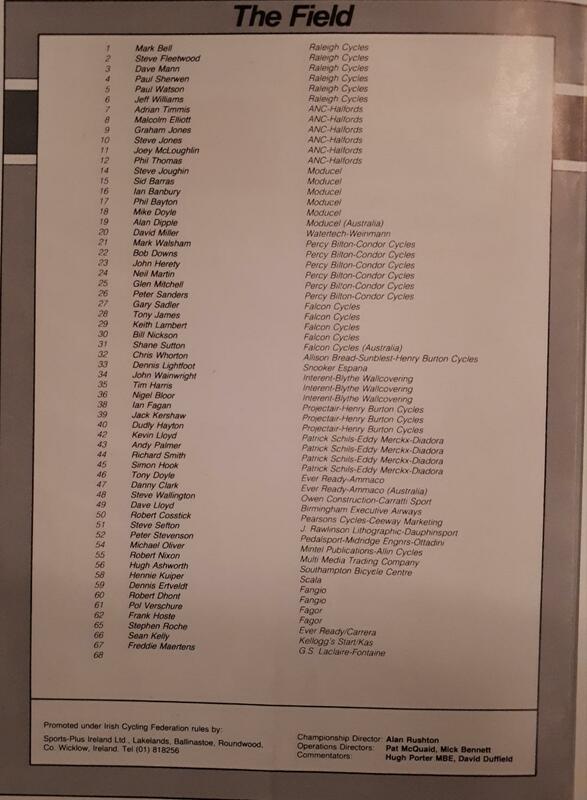 Amongst other big name pros who took part in various races over the years were Phil Anderson, Freddy Maertens, Frank Hoste and Allan Peiper as well as the other Irish pros, Martin Earley and Paul Kimmage. Many of the British riders excelled and this type of race and amongst the top performing riders during this era were Phil Thomas, Sid Barras, Steve Joughin, Joey McLoughlin and Malcolm Elliott. 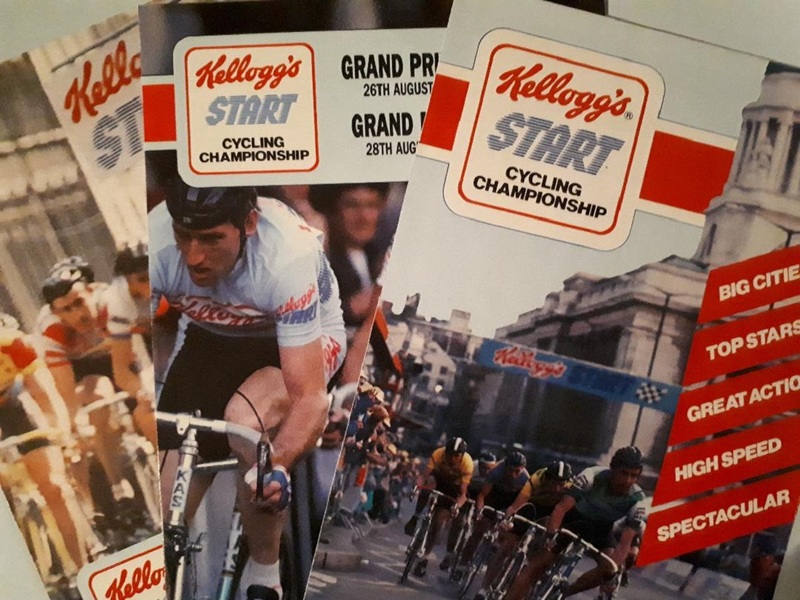 The footage below is from the 1986 races in Dublin and Cork and includes interviews by Phil Liggett and the late Jimmy Magee with home favourites Sean Kelly and Stephen Roche. The circuit in Dublin started and finished on Lord Edward Street with a section also passing through the grounds of Dublin Castle. The race in Dublin was affected by rain with numerous crashes causing splits in the peloton. Malcolm Elliott (ANC-Halfords) won ahead of Mark Walsham (Percy Bilton) with Sean Kelly (Kas) in third. The race in Cork started and finished on Sullivan’s Quay with the riders crossing the River Lee to South Mall and Tuckey Street. This time, Kelly emerged victorious ahead of Tony Doyle (Ever Ready) and Phil Bayton (Moducel).